So, we wanted to film abut the importance of wearing hats while outside this summer, only to realize that we forgot to bring a hat. So, we instead focused on making a hat using mathematics - the mathematics of origami! 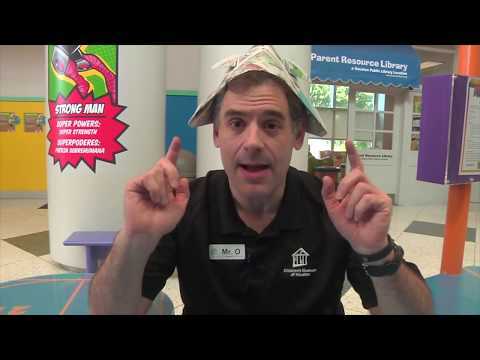 Come explore geometry in this O Wow Moment with Mr. O from the Children's Museum of Houston as we make an origami samurai hat! Many thanks to ExxonMobil for funding this video.